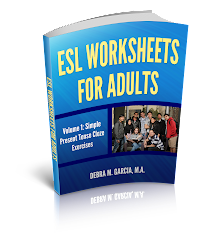 This is the ESL Tutoring Business book I've been working on for eight years! 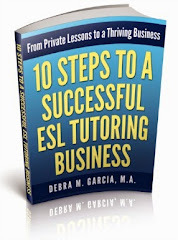 This book was written for anyone who wants to privately tutor English Language Learners and earn a living doing so. It is for those ESL teachers and tutors who are offering, or would like to offer, private lessons to individuals or small groups. It is especially for those ESL tutors and teachers, or potential tutors, who are open to the idea that a private tutoring practice will be infinitely more successful when it is run as a business. Please don't be deterred by the idea of running your ESL tutoring practice as a business. I've made every effort possible to clearly and succinctly describe in this book the simple policies, procedures, and practices you can implement to have a successful tutoring business that will enable you to earn a living doing what you love for a very long time. Please note that this book is not a grammar book or a textbook for use to teach English. 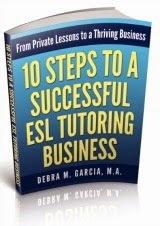 It is a book about successfully setting up and running a private ESL tutoring business. Click here to get more information about this digital book.